Anyline is working on scanning software for smartphones that allows scanning text and numbers from objects and process the scanned data digitally. The startup, which has already grown to 14 team members, had its technology patented in 2014 in Austria and is developing new use cases. The software is especially useful in cases where manual transcription of data is a source of errors. Anyline is already reliably scanning data from blood sugar meters for the startup mySugr, voucher codes for Red Bull Mobile, as well as gas and electricity meters. What does the startup do? 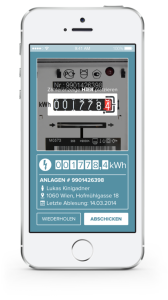 You know the situation: once a year you have to hand in the current reading of your gas and electricity meter. Either your energy provider is sending an employee to do the reading, which takes a lot of time or you have to do it yourself. Either way, errors easily slip in when writing down the long number sequence. At some stage we will probably use smart meters, which will transmit the latest reading directly to the energy provider. But there will still flow a lot of water under the bridge until the smart meters are implemented (talking about Austria here…). Anyline is providing the solution for that. 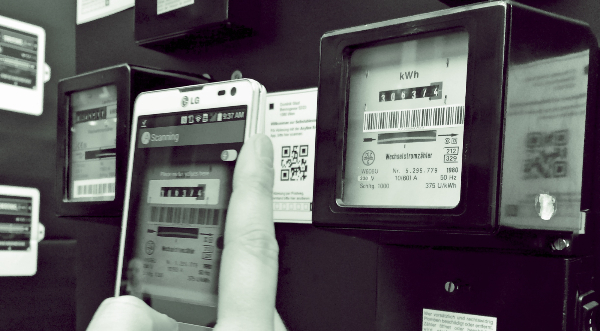 Its technology enables smartphones to scan the meter display. Carina Wetzlhütter, who is responsible for Anyline’s marketing activities explains: “The interesting part is that our technology, compared to other scanning technologies, does not take a picture, which is then sent to a server, optimized and sent back to the phone, but is actually shooting a video. The video frames are than optimized and compared directly on the smartphone. Do the frames match you get a highly accurate reading of your data.” Besides the high accuracy the advantage is that the software does not need to be connected to the Internet to read the data. This is especially beneficial if the meters are located in the basement where you might not get a signal. And this is also one feature that sets the startup apart from its competitors. For the energy provider Anyline’s solutions offers a relatively easy way to optimizes its processes; for the consumer the technology provides simplification and the opportunity to keep track of your energy consumption. Additionally, the data is never sent to or stored on an external server, but rather directly sent from the consumer to the energy provider, ensuring maximum data protection. Similarly, people suffering from diabetes can benefit from Anyline’s technology. 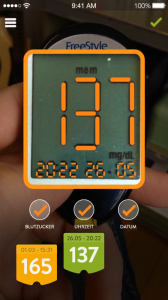 The successful Austrian diabetes management app mySugr has integrated Anyline’s algorithm to be able to scan data from blood sugar meters and integrate it into its tracking app. Red Bull Mobile is using the software for one of its marketing and loyalty campaigns. Customers in Poland can use the Red Bull Mobile app to scan a multi-digit number from the pull-tab and directly participate in a sweepstake. Anyline was developed to solve a problem for their colleagues of mySugr. Back then Anyline was still called 9yards, working as an agency and developing apps as requested by their clients. The team from mySugr wanted to be able to transmit the data from blood sugar meters to a smartphone. Carina remembers: “They thought it would be cool to just scan the meter, that couldn’t be too difficult.” But of course it wasn’t that easy. After two years of research and testing the startup filed a patent and grew its team to 14 people. Anyline was founded by Lukas Kinigadner, Daniel Albertini, Jakob Hofer and David Dengg, three of them coming from Tyrol and one from the easternmost part of Austria, Burgenland. 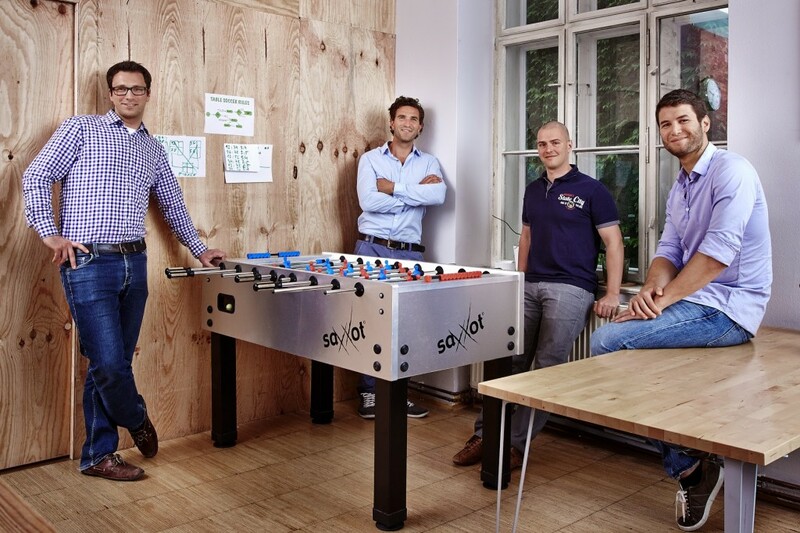 David and two other developers operate from their office in Innsbruck, the majority of the team is sharing the Viennese headquarter with their friends from mySugr. The startup financed itself with the revenue generated from 9yards’ app development projects. The FFG (Austrian Research Promotion Agengy) and the Vienna Business Agency supported the development of the patented technology. This year the startup is focusing on selling its technology in four different areas: energy sector, loyalty campaigns, healthcare and FinTech (Financial Technology). To that end Anyline received a seed investment from Austrian business angel Hansi Hansmann. An advisory board is supporting the team with industry specific know-how. The startup has different revenue models depending on the use case. The software is licensed to the clients who also pay a monthly usage fee. In 2015 the startup will experience some liquidity problems, which forces the team to work even more efficiently. Currently the biggest challenge for Anyline is to follow-up on all the sales leads the team generated during the last few months. Anyline is currently developing use cases for the financial sector and is cooperating with a renowned mobile payments provider. The primary objective is fraud detection. One of the software’s key features is perspective adjustment. This means that the technology can detect the difference between a genuine credit card and a copy during the scanning process. For the consumer this could bring a simplification of the mobile payment process. 2015 Anyline will focus on market and sell their already existing products. To this end the team will send representatives to Berlin and the Silicon Valley. In June the startup will present its technology at the Augmented World Expo in Santa Clara and test the waters in the US. Augmented Reality (AR) is an interesting field for Anyline as the recognition of objects and image processing are related areas. The team is seeing great potential for its technology in AR. The startup is planning to provide developers with a Software Development Kit (SDK) of its technology to tap into even more areas and find use cases for its software.